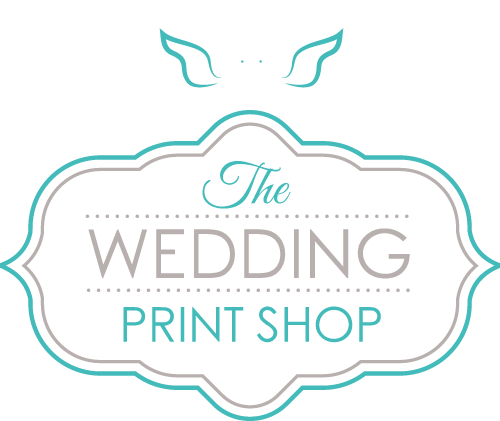 The Wedding Print Shop is based in Burgess Hill, West Sussex and is happy to provide services to the whole of the UK. With many years experience in the design and print industry, the team at The Wedding Print Shop offers a top quality range of wedding stationery encompassing save the date cards, day invitations, evening invitations, additional information cards, reply cards, orders of service/service sheets, menus, place names or place cards, table numbers or table names, table plans, guest books and thank you cards. We also print large format posters and prints, stickers, place mats and menus for hen/stag dos and your big day! The Wedding Print Shop prides itself on its environmentally aware approach to design and print. We only use recycled and FSC certified papers and print using biodegradable inks; we reuse all packaging, recycle as much as possible and we even have solar panels on our roof to generate electricity sustainably! As your wedding day will be one of the most important days of your life, we at The Wedding Print Shop want to make sure that you receive a stress free, unique and personal experience. So whether you’re visiting us in person or discussing your stationery on the phone or by e-mail, we will make the experience fun, stress free and enjoyable! We make it our business to listen to our customers and make sure they are happy, that’s why we have a money back guarantee! Please contact our dedicated wedding stationery advisor to discuss what options are available to you and how we can help you achieve the look you want, however unique or classic you would like that to be. Nothing seemed to be too much trouble; even when we requested the smallest of amendments. You were also happy to suggest ways in which we could improve aspects of our stationery which was a great help. We think our fingerprint tree is amazing. Guest loved it, the kids loved it. Thank you again. Thanks for our stationery, it was beautiful and matched the wedding colours perfectly. Thank you. Thank you very much for your help - we were very pleased with the invites & will certainly recommend you to friends. Thank you all for the good luck card and for everything, you've all been fantastic I am so so pleased with everything and will be highly recommending you all to my friends. We would like to say a huge thank you for all of our wedding stationery. It reflected the theme of our wedding perfectly and you managed to capture exactly what we discussed during our initial meeting. Many of our guests commented on how beautiful it was and everyone loved the name settings with the menu choices on.